Snapchat: A Millennial-Era Rival for TV? 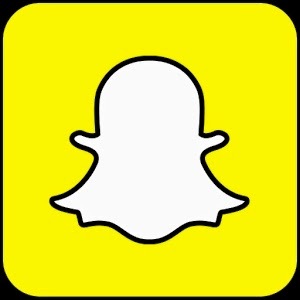 Snapchat, a popular app for iOS and Android, has been receiving a lot of attention lately. While it was originally designed to send fun photos and videos that self-destruct upon receipt to other users, the software has undergone an evolution. By developing a Snapchat ‘channel’, broadcasters and others can schedule their content for quick distribution. Shortly before his resignation, White House senior adviser Dan Pfeiffer commented on the new phenomenon in a February interview with Politico Playbook Cocktails. “[Snapchat] has fundamentally changed the way I watch ESPN, because you can't really have ESPN on in the office -- it's kind of frowned on in the morning,” Pfeiffer said. In a world where many feel overwhelmed by the amount of television channels, Discover allows one to quickly navigate to bite-sized entertainment. Another method in which Snapchat is attracting younger viewers is through its “Stories” functionality. A crew of Snapchat team members reviews videos and photos shared from its user base, and then assembles them into one large narrative, which is sent out to everyone. Generally, Snapchat has been employing this technique around major events or holidays, like New Year’s Eve, the Electric Daisy Carnival music festival and the Golden Globes. Like live television, a Snapchat user has a set period of time in which to see a Story before they permanently miss out; Stories vanish after only 24 hours. During the chaotic winter in New York this past January, a video about the “Snowpocalyse” garnered 24.79 million views. To behold that number from another perspective: 2014’s “How I Met Your Mother” series finale set a record with an average of 12.9 million viewers, the 2015 series finale for “Parks and Recreation” saw an average of 4.271 million viewers and the series finale for “Two and a Half Men” had an average of 13.52 million viewers. And worth noting even further, a brand new Millennial survey from Hunter Qualitative Research/Defy Media revealed that 62 percent of those polled stated that digital content makes them “feel good” about themselves, compared to 40 percent who had the same reaction to traditional television. February research from Nielsen highlighted that Millennials are fleeing TV faster than ever. Normally, the rate of TV abandonment has hovered around the 4 percent marker, but last year saw that number change to 10.6 percent. It’s likely that the monetization of Snapchat through advertising is the next big step. Will regular television ever be able to regain a foothold with younger viewers?